As an ecologist of ice age giants, I long ago came to terms with the fact that I will never look my study organisms in the eye. I will never observe black-bear-sized beavers through binoculars in their natural habitats, build experimental exclosures to test the effects of mastodons on plants, or even observe a giant ground sloth in a zoo. As a conservation paleoecologist, I study the natural experiments of the past—like climate change and extinction—to better understand the ecology of a warming, fragmented world. Admitedly, part of the appeal of the ice age past is the challenge of reconstructing long-disappeared landscapes from fragments like pollen, tiny fragments of charcoal, and bits of leaves preserved in lakes. In the absence of mammoths, for example, I rely instead on spores of fungi that once inhabited their dung. De-extinction could change that. On Friday, a group of geneticists, conservationists, journalists, and others convened in Washington, D.C. to discuss resurrecting extinct species, including the woolly mammoth. De-extinction sounds like science fiction, but it’s rooted in very real conservation concerns. 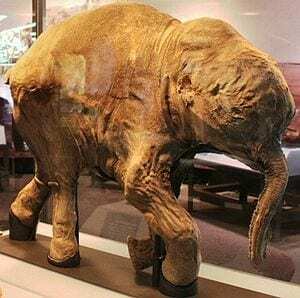 With the sequencing of the woolly mammoth genome complete and recent advancements in biotechnology, the question of whether to clone extinct species like mastodons, dodos, or the Shasta ground slothis rapidly becoming more of a question of should, rather than how. The latter isn’t straightforward, and involves the integration of a number of cutting edge disciplines, but I’d like to focus on the former: should we clone woolly mammoths? A growing problem I’ve had (and one which Brian Switek raises in a recent post at National Geographic) is that the de-extinction proposals are Big Ideas, but they they’re often shallow when it comes to ecology. Even the concept of “de-extinction” itself is misleading. Successfully cloning an animal is one thing; rescuing it from the black hole-like pull of extinction is another. Decades of conservation biology research has tried to determine the careful calculus of how many individuals and how much land are needed for a species to survive without major intervention, accounting for its needs for food, habitat, and other resources. Mammoths have been extinct on continents for over ten thousand years (though dwarf versions survived into the time of the ancient Egyptians on isolated Arctic islands). Even so, the fossil record has yielded rich clues about ecology. All ethical considerations aside, from a conservation biology standpoint, what does it mean to be a mammoth?